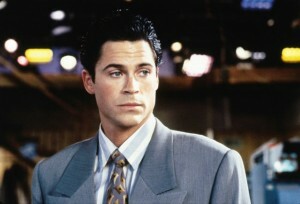 Rob Lowe Jumps Into a ‘Knife Fight’!!! Rob Lowe is has signed on to star in a film called ‘Knife Fight’ directed by Bill Guttentag who has more documentaries under his belt than films. But the film takes place in the political arena and deals with the dark side of political campaigns and dealings. Rob Lowe will be the lead. Lowe has played political roles in West Wing and Brothers and Sisters, so this genre of film is no stranger to him. Rob will play a political crisis specialist who deals tough and hard with all the October campaign surprises and secrets. The plan is to start shooting in San Francisco soon with a planned October 2012 release just in time for the presidential election. This entry was posted on Thursday, May 12th, 2011 at 4:02 pm	and is filed under Film, News. You can follow any responses to this entry through the RSS 2.0 feed. You can skip to the end and leave a response. Pinging is currently not allowed. « Video Of The Day!!! Trailer for Documentary on Star Wars: Empire Strikes Back The Musical!!! We got a tip that the Zopehounders were gonna do a hit on cash or drugs from this big time X-man. That's what they call an ecstasy dealer on the streets. Marcus, I know what they call them. That's why I'm Captain.